Your sponsorship matters and has allowed us to provide 26,167 pounds of naturally grown produce to local food pantries. We are committed to donating 60-65% of our harvest to feed the hungry in our community. 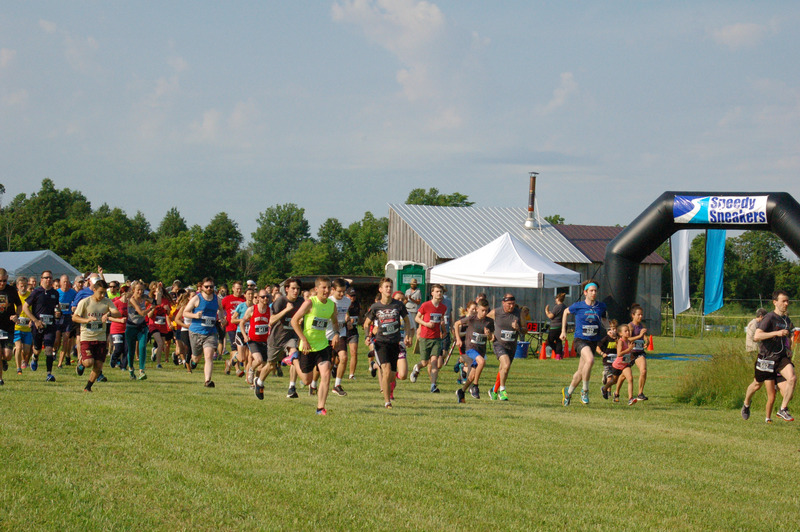 Sponsoring our Farm Fresh 5K makes you a partner in this life-sustaining effort. This all-terrain race will offer a course that surveys the diverse landscape of Shepherd's Corner Ecology Center. Participants will run or walk alongside natural gardens, across meadow trails, and through wooded paths. Company acknowledged from the podium. Company name acknowledged from the podium. Items welcome are: fruit, printing, signage, prizes (gift certificates/cards) etc.